← key lime pie cookies – and they’re gluten free! Preheat oven to 400 degrees and grease your muffin tin. In large bowl, whisk together the flours and xanthan gum. Add baking powder, baking soda, and salt and combine. In small bowl, beat together the sour cream, milk, egg. and vanilla. Make a well in the centre of the dry ingredients and add the sour cream mixture. Mix just enough to combine. TIP: For soft, fluffy muffins keep the mixing to a minimum. This is one batter that should be lumpy and fall into the muffin pan in thick gobs. Now gently fold in the fruit. Glob into muffin tins and bake in oven for 20 minutes. TIP: If you take pictures for posterity, don’t delete them. 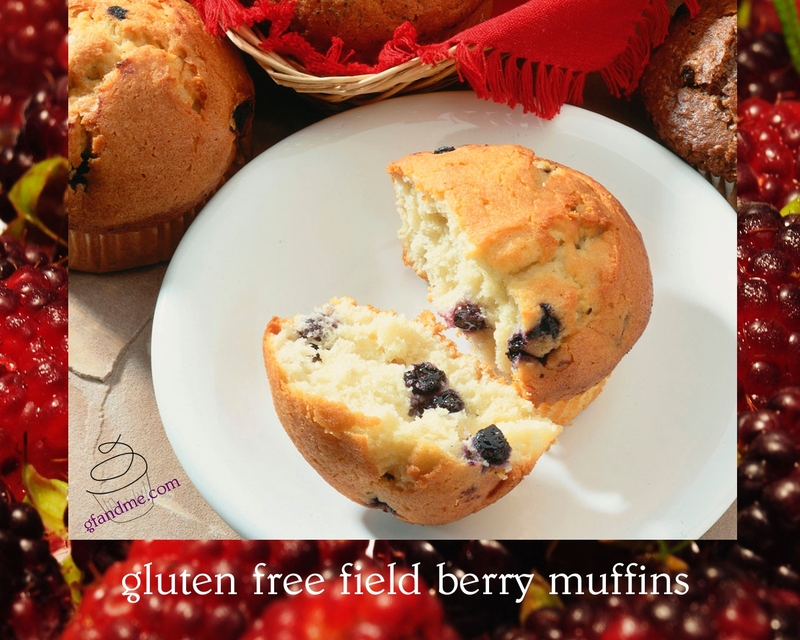 This entry was posted in Baking, Breakfast & Brunch, Recipes and tagged coconut flour, gluten free, muffins, oat flour, rice flour. Bookmark the permalink. Ouch! That’s just not fair, is it? No it is not! Thanks for reading Doreen!